GEORGETOWN, S.C. — Fireflies, an icon of Southern summers, are fewer and harder to find in some communities along the coast lately because of urban development and changes in forestry practices. Is the firefly population in your neighborhood declining? Find out by joining this year’s Firefly Count on June 1. The census is part of the Clemson University Vanishing Firefly Project. People can participate in the project using one of the following methods: participate in the field day, submit data via the Apple app or submit data via a website survey. The Clemson University Vanishing Firefly Project was launched by entomologist Juang-Horng “JC” Chong and biogeochemist Alex Chow in 2010. The modest citizen science project subsequently was expanded with the addition of associate professor Roy Pargas of the Computer Science Division, research professor David White of the electrical and computer engineering department and associate professor Michelle Cook of the School of Education. The goal of the program is to collect data over several years from different habitats across South Carolina and other states to determine the population trend of fireflies. Researchers are investigating the impacts of human activity on the abundance of fireflies. They will analyze for potential relationships between land-use patterns, soil and litter quality and firefly abundance. 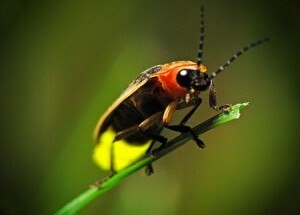 Weather also is a factor in coastal South Carolina’s firefly season during May and June. Because researchers cannot be physically present everywhere fireflies appear, the public is being asked to help. “We need you, the citizen scientists, to participate and help with collecting the data,” Chow said. Ground Zero for the survey is Hobcaw Barony wildlife refuge in Georgetown where scientists will hold a field day from 5 to 11 p.m. Saturday, June 1, but anyone can participate from anywhere using the Apple app. “We are also researching how helping to collect data on fireflies affects one’s knowledge about and attitudes toward science and the environment,” said Chow, adding there will be a questionnaire at the project web site, which he asks the public to fill out. Roy Pargas and graduate student Doug Edmonson developed the iPhone Flash Counter app to allow people to record the abundance of fireflies anytime and anywhere. Before the counting begins, the users will be asked to take notes about habitat types and other environmental factors using a drop-down menu. Participants then will count the number of fireflies or flashes that appear within their fields of vision within one minute. Then they’ll submit the data to a server at Clemson University. Observers may conduct several counts in a single night, but researchers ask that the counts be conducted at different locations. The Hobcaw Barony field day program begins with a short orientation on firefly biology, methods for firefly counting and identification, safety in the field and the environmental of coastal development. Volunteers visit sites before sunset then return at night to identify and count the fireflies. Participants are asked to count and record the number of fireflies or flashes that fly across their vehicle windows or in the shrubs and trees within view of their house windows in one minute. They are also asked to write down the species that they observed, using the flashing patterns as a key for identification.